LawPay is proud to be recommended as a member benefit by the New Haven County Bar Association. LawPay was developed specifically for attorneys with the input of state bars and their ethics committees to ensure that earned and unearned fees are properly separated and that IOLTA accounts are protected against any third-party debiting. LawPay was developed specifically to meet the needs of law firms by correctly separating earned and unearned fees and protecting your IOLTA from all third-party debiting. LawPay makes PCI so easy on our clients that we have some of the highest compliance rates in the industry. We handle the details for you so you can focus on your business. The easiest way to ensure payment is to have transactions run automatically. 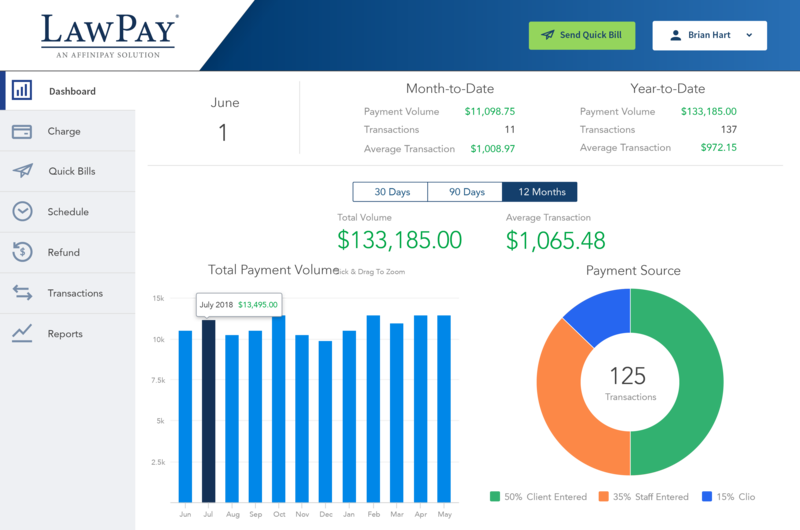 LawPay allows you to schedule recurring payments at no extra charge. Whether you’re accepting credit cards for the first time, need help managing the business side of your practice, or want to integrate LawPay with your preferred practice management software—we have you covered. Accept all major credit cards and eChecks through a secure online portal. Clients can pay directly from a custom payment page, Quick Bill, or our mobile app. Plan payments in advance, get detailed transaction information, easily reconcile deposits, and tag transactions to create custom reports. LawPay is designed to help you manage your practice with a robust set of solutions. LawPay is fully integrated into more than 30 popular legal software products, giving you a seamless payment experience. Find a solution for your firm. All the ways you can use LawPay. LawPay makes it easy for you to collect client payments through a number of different methods. We spent three years vetting LawPay against their competitors. In the end, it was the only choice. As the go-to solution for legal payments, our simple online payment option helps law firms get paid up to 39% faster. 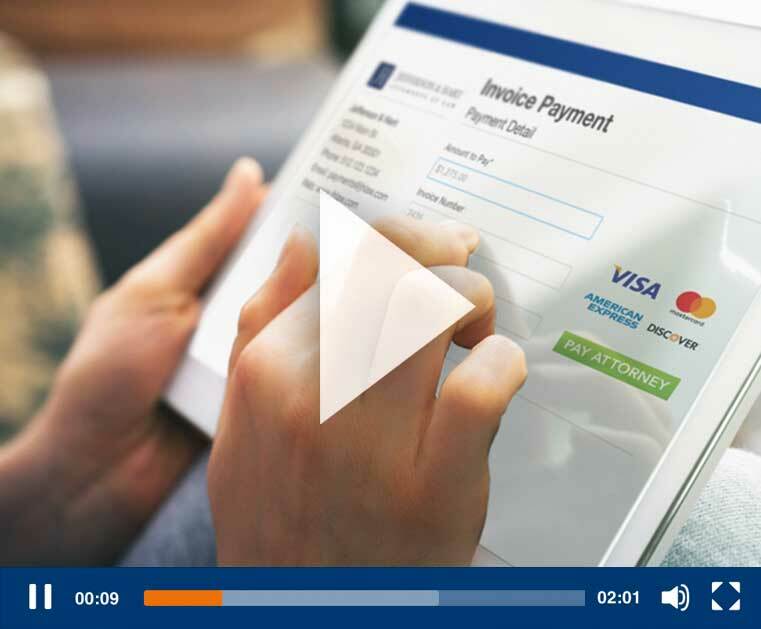 Learn how easy it is to use LawPay during a quick 20-minute online demo.